A slew of films dealt with family dynamics or lack thereof including, Hereditary and Mandy and the first documentary to appear in the NEXT section, director siblings Elan and Jonathan Bogarin’s, 306 Hollywood, explored their grandma Annette’s life and the 70+ years she lived in her house in Newark, NJ. The film is alight with her colorful collection of knick knack items, wardrobe, tax documents, and findings of multiple vacuum cleaners had wonderful footage and insightful examinations with their granny. However, this-clearly being a deeply personal film, is there much of an audience or will anyone really find much in a small film about two siblings grandmothers’ life? Or what about the film family involved in sharing stories about legendary film editor, an Oscar winner on 1967’s In the Heat of the Night, and director, Hal Ashby in director/editor Amy Scott’s thoroughly entertaining, Hal. Ashby fought studio heads for final cut in many of his films, and was an obsessive, compulsive filmmaker working non-stop on his eventual multiple 1970’s masterpieces Harold & Maude, The Last Detail, Shampoo, Bound for Glory, Coming Home and Being There before fizzling out in the early 80’s. Through spectacular archival footage, audio interviews, typewritten letters, interviews with actors such as Beau Bridges, Jane Fonda, Bud Cort, Warren Beatty among others, Ashby’s legacy is defined for his film canon and style were ahead of their time in discussing race, breaking barriers on social justice and relationships and pushing social and economic times. 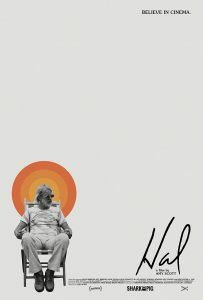 Hal itself will not break any new documentary barriers, using familiar talking heads and stylistic tropes, it undeniably will bring a legion of new fans to discovery or re-discovery Ashby’s amazing contributions to American cinema in a time, when Hollywood needed a director like Ashby to chart a new cinematic re-course. As we constantly bring up words and terms in film criticism such as “films,” “performances” and “community” more often than we can explain, nothing brought all these terms together capping off this year’s Sundance viewing experience as much as Sam Green’s “live documentary” A Thousand Thoughts, featuring the classical music group Kronos Quartet playing throughout Green’s commentary on the expansion, extension and the forty-five year history of the group. The event at the Egyptian Theater was a sight to behold, and one filled with incredible surroundings on stage and abound in the theater, leaving a singular unrepeatable show. Even Green said so as he checked his watch to start the show and later, to end the show. Starting in 1973, the Kronos Quartet is one of the most celebrated and influential musical acts in American music history, Green (and co-directed/editor Joe Bini) using his computer to project videos, interviews, and personal stories from the group, while each musician, performed together and had separate solo pieces tell a moving and powerful abstract cinematic experience. Starting with founding member David Harrington (violin), Hank Dutt (viola), John Sherba (violin) and Sunny Yang (cello), recount how Harrington started the group in Seattle, and later relocated to San Francisco in the late 1970’s and how their evolution has changed since their humbling beginning. They have performed more than 900 pieces of work written for them, 40 albums and more than 3,000 performances in their history and watching the group playing selected pieces, as Green’s commentary explained the nature and history of the music and how certain pieces or life moments brought the musicians together, was boldly experimental, completely daring and left the biggest impression on this entire Sundance voyage. Not only watching a film with a packed audience, but watching a once in a lifetime happening change the way one looks through the visual media, and expanding it for a sensory feast for all the senses, left this viewer speechless. 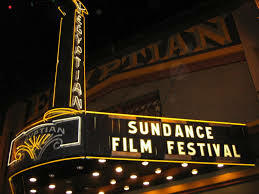 So in closing, with the entire year to prepare for changes happening with Sundance, let us hope the new Director of Programming will consider creating an award, strictly for a Midnight film, sound good? Lastly here were my ten favorite films seen, along with directors, at the 2018 Sundance Film Festival.